Back for a third hurrah is the American Essentials Film Festival – 22 new movies and five cast-iron classics back on the big screen, celebrating American life in all its permutations. With film and TV production surging in the US, the festival provides a big-screen outing for films that might otherwise not score a commercial release, despite having a name cast. 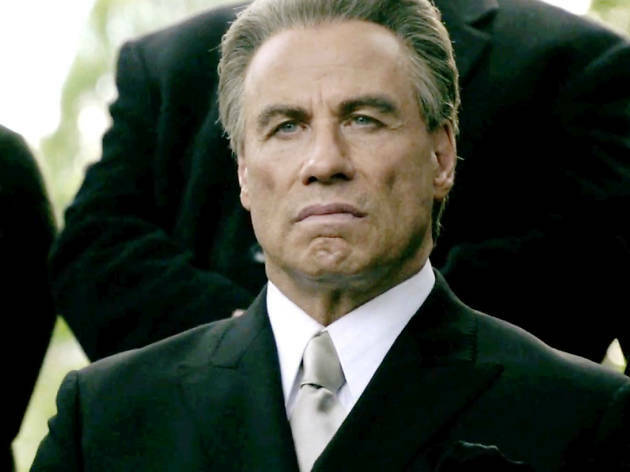 A special event during the festival will be a gala screening of Gotti, a brand new biopic of Mafia boss John Gotti starring John Travolta. 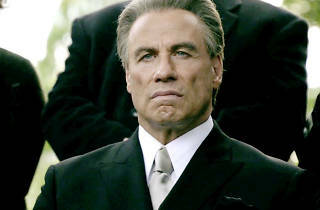 No reviews have filtered through yet, although rumour has it the movie marks a career comeback for Travolta, who stars alongside real-life wife Kelly Preston. Zosia Mamet – Shoshanna in Girls – stars in a likeable romcom about an aspiring writer who discovers she has moved into an apartment upstairs from her ex-boyfriend. Awkward. Released from prison after 20 years, Chris (Jay Duplass) struggles to get by and falls for his former high school teacher (Edie Falco), who has remained his pen pal. Lynne Shelton (Your Sister’s Sister) directs. Funnyman Jason Sudeikis is getting raves for his dramatic work in this road movie as an A&R executive who reunites with his estranged photographer father (Ed Harris), who has cancer. A revenge western with a lot of affection for the classics, the film stars Bill Pullman as a grizzled, bearded ranch hand who seeks vengeance for his murdered boss in Montana in 1889. An artist (Mireille Enos) who uses the images of strangers in her work is stalked by one of her aggrieved subjects in a haunting thriller that explores privacy in the social media age. Nicolas Cage embraces his own tendency towards silliness in a schlocky black comedy about a grotesque phenomenon that induces parents to kill their own offspring. A rousing music documentary looks into the African-American ‘gospel quartets’ of the 1930s and 1940s, whose music laid the groundwork for rock’n’roll. Supreme court justice Ruth Bader Ginsburg is something of a folk hero in the US – this documentary looks at upbringing, her defining cases and her extraordinary charisma. Watch Roman Polanski’s 1974 masterpiece – a complex, engrossing, private detective thriller starring Jack Nicholson and Faye Dunaway – and you’ll understand why so many want to forgive him for an unforgivable transgression. Warren Beatty – with amazing hair – plays a Hollywood hairdresser whose profession gives him easy sexual access to a lot of women, which leads to complications. This 1975 comedy was directed by Hal Ashby and features a baby-faced Carrie Fisher. Michael Mann’s epic crime thriller from 1995 pits Al Pacino’s cop against Robert De Niro’s crim, and features the electrifying first scene the two acting greats ever shared. Two 1970s African-American movies are screening as a double feature. Wattstax is a 1974 concert move that captures the heady atmosphere of the times with soulful and funky performances by the likes of Isaac Hayes, the Staple Singers and Eddie Hayes. Killer of Sheep is a poetic portrayal of working class black life. The festival is taking place at Palace Central Cinemas. Tickets are on sale now and there are multi-film passes available as well as individual tickets.